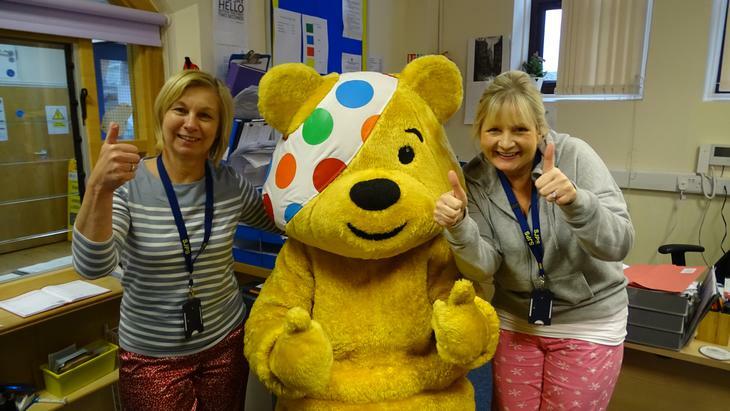 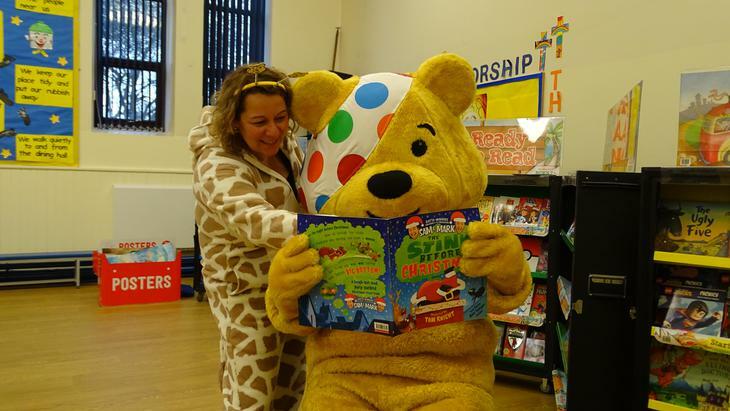 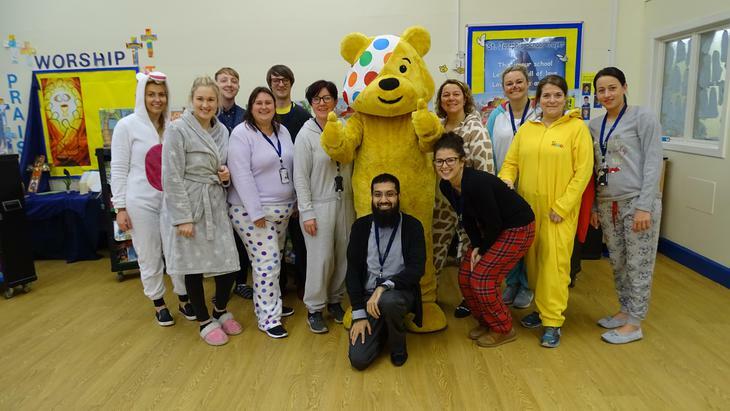 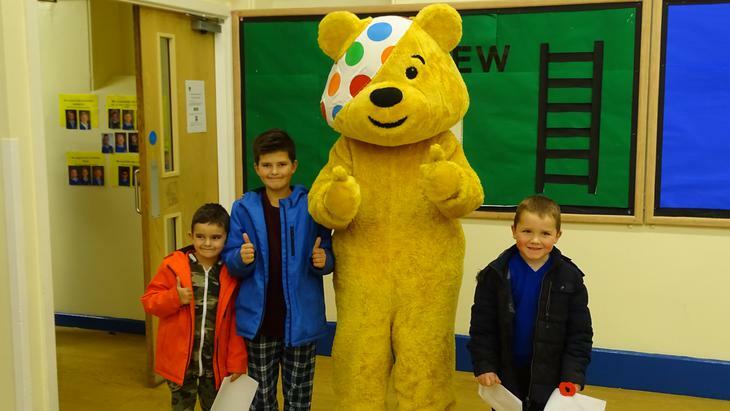 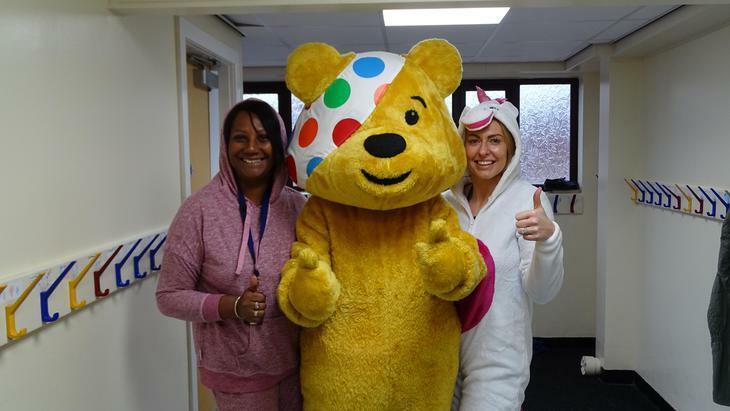 The whole school joined in raising money for Children in Need on Monday by having a pyjama day. 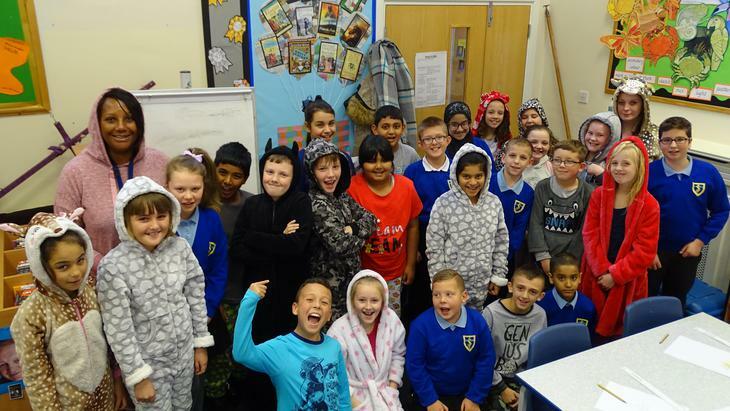 We also had a special assembly where all the different characters had a dance off – the overall winners were the Superhero’s. 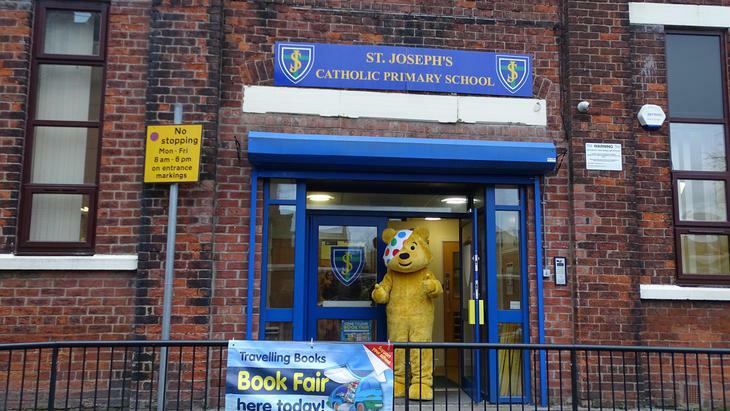 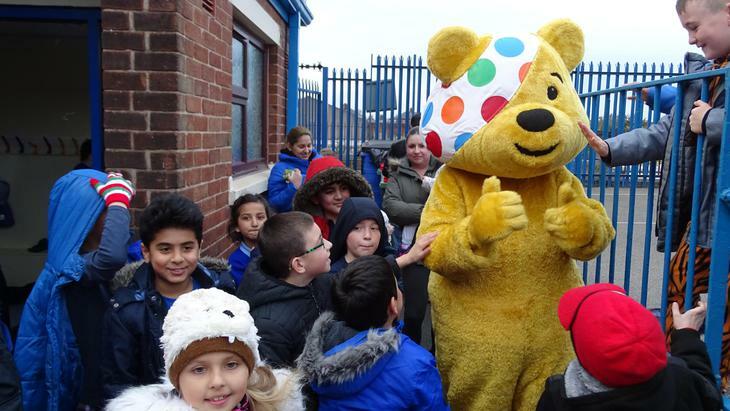 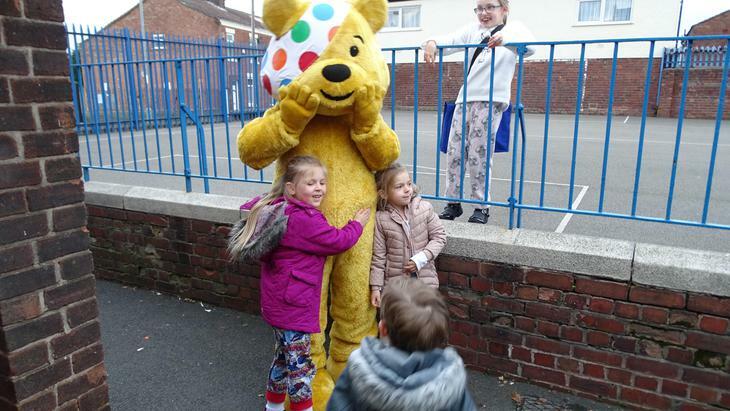 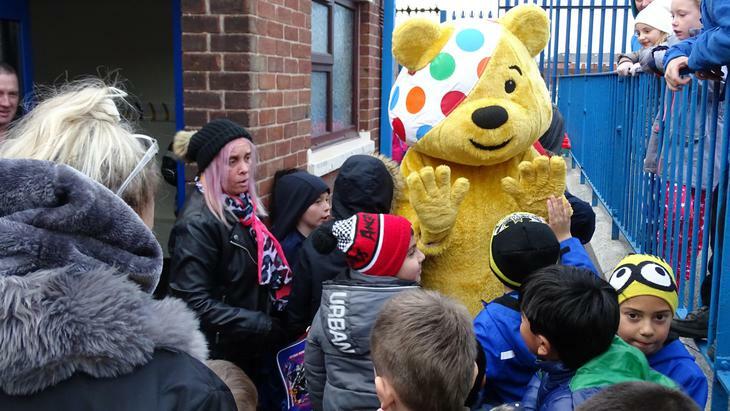 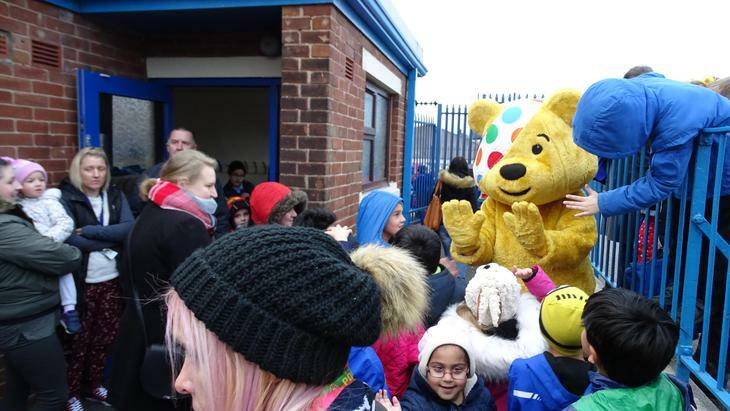 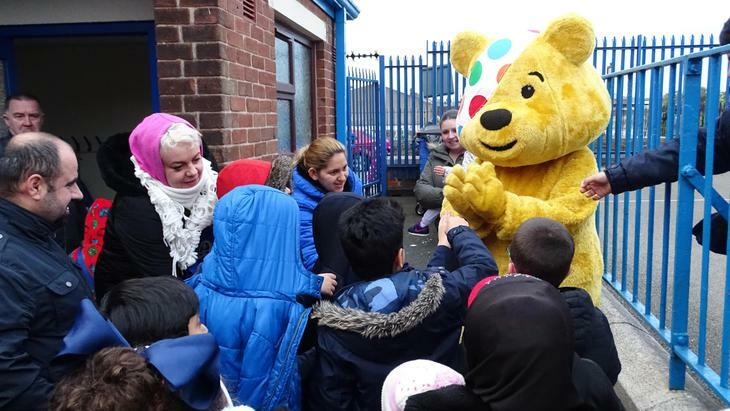 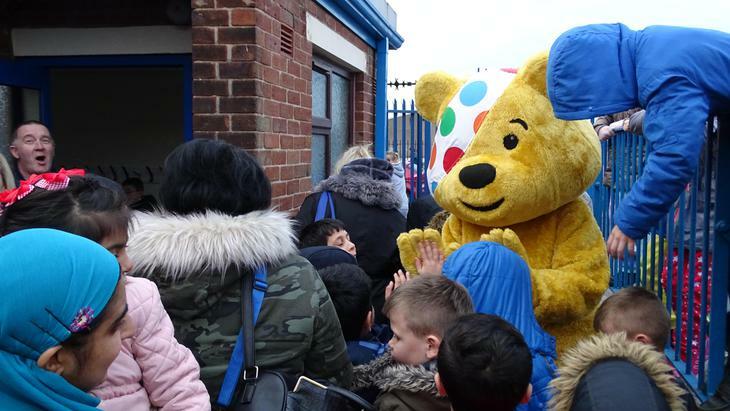 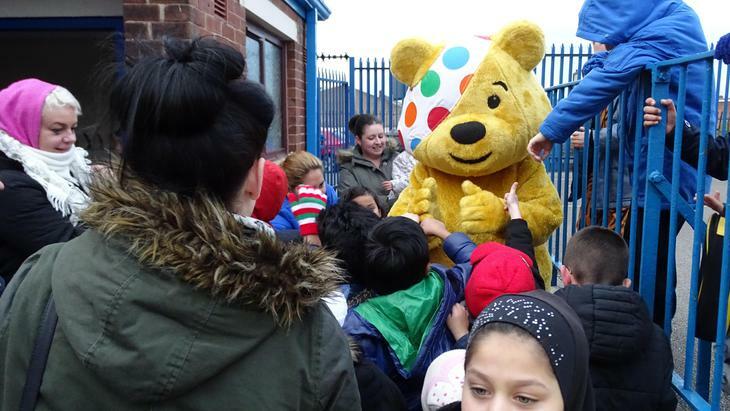 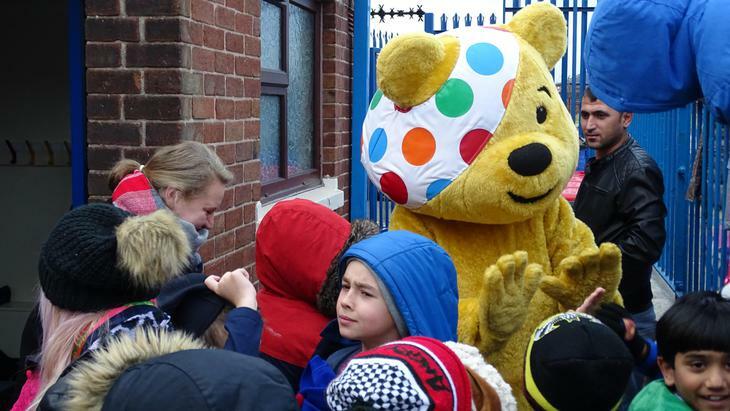 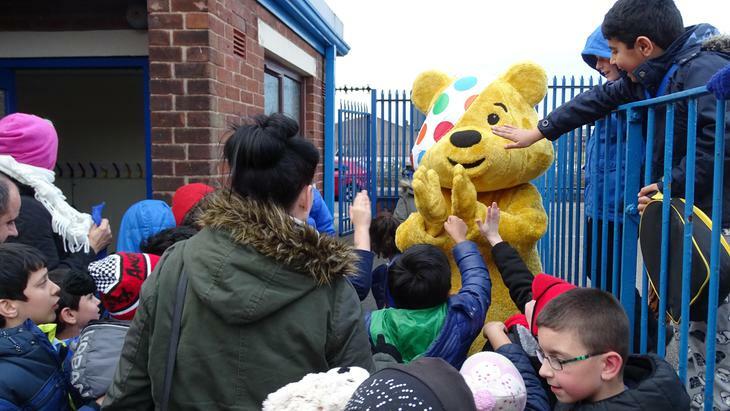 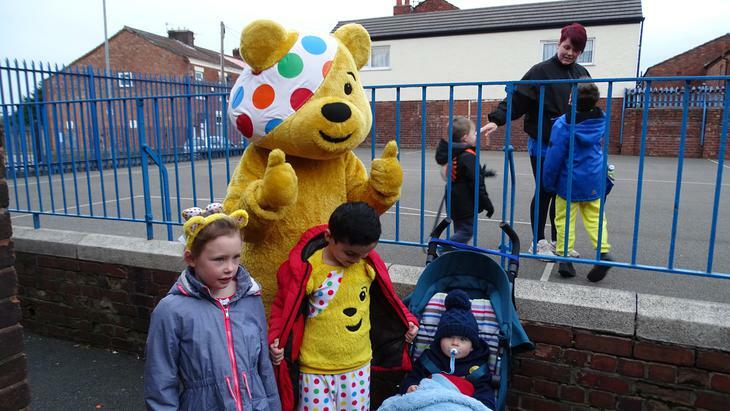 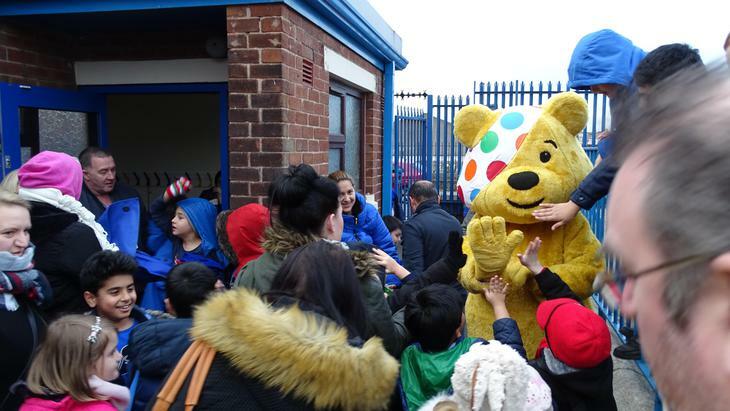 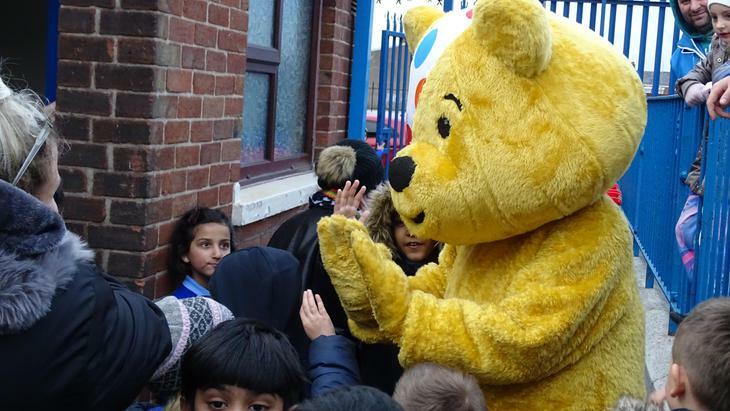 We were then visited by Pudsey Bear himself who greeted the children and parents on the playground.